Facebook’s lousy month rolls on. While many have been quick to point out that the platform hasn’t lost much in the way of users, and likely hasn’t suffered many real business consequences to its actions, its stock has lost roughly $100 billion in market value in the last ten days. That’s the worst month for Facebook— the stock— since August 2012. And that’s the crux of Facebook’s challenge in adequately addressing the crisis in which it finds itself: Its fundamental business is so strong, it’s almost unfathomable to imagine anything changing. Last week, I was interviewed by Brian Stelter of CNN’s Reliable Sources and I talked about how the pattern of “dismisssal-then silence-then apology-without any meaningful change” fits the pattern of how Facebook responds to a scandal going back to the days of the News Feed. He asked why they haven’t yet learned or changed. I responded that they didn’t need to: They never suffer repercussions and Facebook is a company obsessed with following “the data.” Like everyone else in Silicon Valley, Facebook is also ruled by pattern recognition. This isn’t just a matter of inertia— an aging consumer Internet giant that has such a dominant legacy position, it can’t easily be disrupted. It’s a matter of just how good Facebook’s ad product is. Colin Sebastian, an analyst with Robert W. Baird &Co, issued a new research report that argued there was “some moderation in Facebook usage” and a pause in Facebook campaigns by small and medium-sized businesses might ensue. As the CEO of two companies that advertise on Facebook, let me say, I highly doubt it. People have asked me over the last week if I plan on #deletingFacebook. No I don't, because I can't. For exactly one reason: Both Pando and my new company, Chairman Mom, use the ad products. They are simply better than anything else on the market for getting our content and value proposition in front of people. This extends to Facebook-owned Instagram, which I argued last week is more effective at commerce-inspiration and aspiration than Pinterest ever was. Magnates of Silicon Valley can dismiss Facebook all the way. Everyone is still funding companies that rely on it in an age where virality is considered dead. Elon Musk can delete his Facebook pages. He can also finance his company with flame throwers. Consumer Web companies like to say that the best business models become a meaningful part of the product— they make the company better, not worse. Facebook’s ad product may well have destabilized the world, manipulated and addicted its users, and be a threat to democracy, but it’s also the biggest reason the company isn’t going to suffer any real repercussions financially until someone builds a better engine. There is a reason Facebook and Google control some 80% of the digital ad market, and it isn’t simply the scale of users. The two companies have built the only truly disruptive, can’t-live-without ad engines of the digital world. 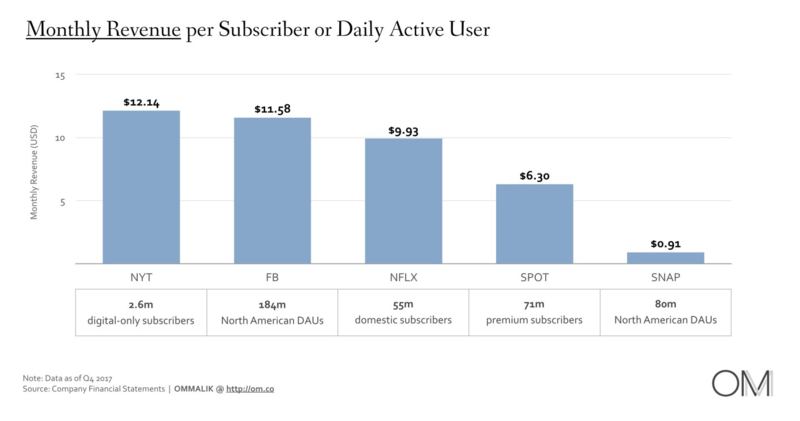 Like a lot of people, I’m bullish on the growing wave of subscription-based consumer Internet models when you have the freedom to build from scratch. But that will only intensify how necessary Facebook’s ad engine is to so many businesses all over the world. Indeed, many of those companies will be built using Facebook’s ad products. Back when Facebook was a young company without a business model, I don’t think it ever could have anticipated that it’s ad product— not the service itself— would be what’s keeping early adopters like me from deleting it. I remember in those early days when people would raise concerns about privacy, about how much personal information Facebook was amassing and fearing what it might do with it. Early Facebook insiders— including a young Mark Zuckerberg himself— emphasized how a sort of enlightened self-interest would keep that from happening. The argument went like this: Without users, Facebook has no business. So why would it do anything that would betray users? Subtle thing that gets lost in the Facebook kerfuffle: This data is ours. We should own it. But it’s locked up in Facebook. That means no possible competition, because costs of switching to a new social network are too high. It may not be illegal but it certainly isn’t right. The message is clear: Zuckerberg thinks we’re idiots.